South Australia Attorney General Michael Atkinson has lashed out at the new political party Gamers4Croydon, saying that he expects it to resort to "criminal activities and dirty tricks" in its campaign because that's just how gamers roll. Atkinson has held the Croydon seat for the Labour Party for the past 20 years, making it the party's second-safest riding in the state. Nonetheless, the upstart Gamers4Croydon party plans to challenge him in the upcoming election because of his long-standing refusal to allow an R18+ videogame rating in Australia. While most established politicians might be inclined to ignore single-issue opponents, Atkinson appears quite happy to wade into this fray and he's not pulling any punches. Of course, that doesn't necessarily mean that he's taking the Gamers4Croydon threat very seriously. "It's 60 days until the election and they [Gamers4Croydon] don't even have a candidate yet," he told GameSpot. "Their website is full of memorabilia but not much else. This electorate has some 24,000 people to talk to and convince. Personally, I see no evidence of local support for their party." Atkinson expects the party to take a different tack in lieu of any grassroots support, one he feels is more befitting the average gamer: Sleazy tactics. "I assume the Gamers4Croydon campaign will involve criminal activities and dirty tricks, which is what I've come to expect from gamers," he continued. "Regardless, I think they will struggle to get even 1 percent of the votes, and their campaign will actually discredit the public campaign in support for R18+ rather than enhance its chances." Despite his dismissal of the group's chances, he said the challenge has had a "good effect" on him, pushing him to bring his campaign up to speed earlier than he would have otherwise. "I've been door-knocking hundreds of homes around Croydon and I find I'm doing everything more thoroughly and earlier than I normally would," he said. "I'm out there working on the basis that this is a real contest." 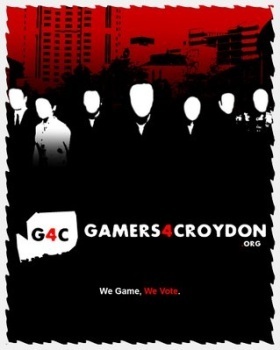 Gamers4Croydon leader David Doe dismissed Atkinson's comments as "completely ridiculous," saying, "This is a serious issue and we're running a serious campaign. We don't need to use dirty tricks." "What's more, I know the party is picking up momentum because more and more people have heard about us when we approach them," he added. "The more I speak to people, the more people are aware of our aims." The problem for Doe, and Australian gamers in general, is that there are less than two months to go before the election is held, yet the party, as Atkinson noted, hasn't even announced a candidate. Furthermore, Doe admitted that the party cannot afford television or radio advertising, severely limiting its reach across the broad electorate. With two decades in Parliament, meanwhile, and no major mainstream issue working against him, Atkinson could probably get re-elected solely through the power of inertia. This effort against Atkinson is worth undertaking if only to draw more attention to Australia's laughable state of game ratings, but I suspect that anyone hoping to bring his political career to a close is going to be deeply disappointed. Thanks to ahiddenfigure for the tip.